Wash and soak 1 cup udat and 1 tea spoon methi for 5 to 6 hours. Wash and soak rice in a separate vessel for 5 to 6 hours. Grind udat dal and rice separately and mix them adding 2 tea spoons of salt to it. Leave the batter for 10 to 12 hours in a covered vessel or container. 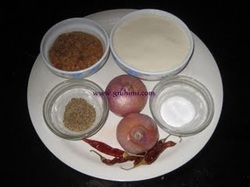 Grind onions, red chillies, jeera and salt to fine paste and keep it aside. 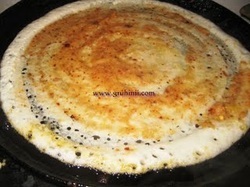 Now make dosa on a non stick dosa pan. Place 2 tea spoons of Karam (onion paste) on it. 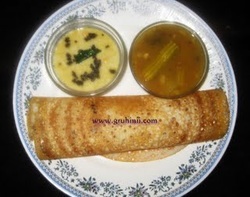 Add a tea spoon of oil on it and spread the karam evenly on the dosa. Add 1 to 2 tea spoons of oil around and roast it until golden color in a medium flame. 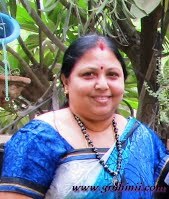 Fold and Serve hot with coconut chutney or buni hui chana dal ki chuntney and sambar. 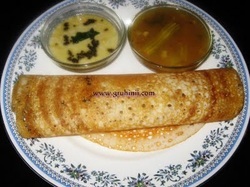 This is one of Andhra style of dosa which is called Nellore karam dosa.......try once.....you will like it.